Two of the grand old, grumpy old, men of psychogeography in conversation at The House of the Last London, Gallery 46, Whitechapel. The organising committee for the Arts Fresco street theatre festival in Market Harborough has unanimously agreed to give the festival a year off in 2018. 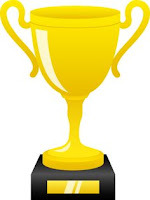 After another tremendously successful event in 2017 with record visitor numbers, high profile UK and international performers, and highly positive feedback from acts and the audience, we now need to focus on generating more sustainable, longer-term funding models to secure the festival’s future, and also to give the volunteer organising committee a well-deserved break. 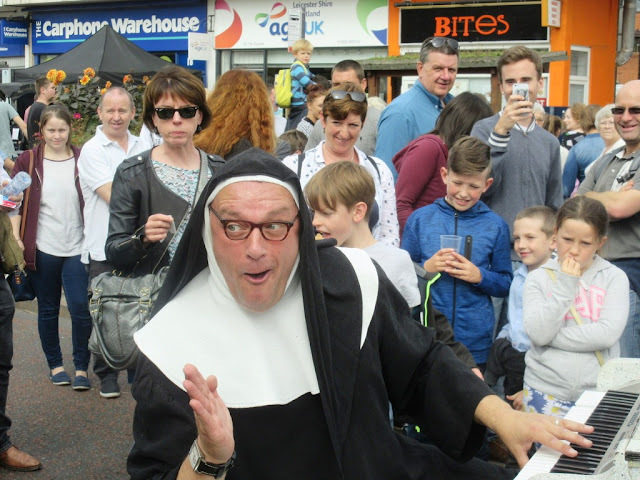 The festival will return on Sunday, 22 September 2019. First news of the plans for next year will appear on the Arts Fresco website. Waseem Yaqoob explains why university staff are striking: "The success of the strike will depend to a large extent on how students respond. Jeremiads about the future of the universities depict the students as consumerist monads. But a survey carried out earlier this week reveals that, though students are split on the strike, most of them blame the government, their university or their vice chancellor. Only one in twenty blames the union." "Many of the students I see complain that the moment they have a free hour, their parent rushes in to fill it." William Stixrud and Ned Johnson make the case for "the self-driven child". Generation Tree pays tribute to the pioneers who planted trees in Britain's parks and streets. Scientism is taken to task by Massimo Pigliucci. It's: "An exaggerated trust in the efficacy of the methods of natural science applied to all areas of investigation (as in philosophy, the social sciences, and the humanities)." 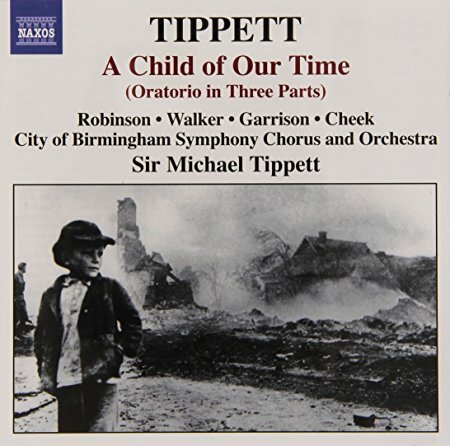 "Tippett’s music is brimming with energy and ebullience, seemingly celebrating the challenge of humanity to bring together darkness and light. It engages with questions of war, sexuality, race, and class in ways that are highly relevant in today’s world of heightened political and social tensions." 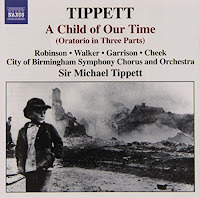 Will Frampton says Michael Tippett is a composer for our time. The Gentle Author on the rediscovery of three lost panels by East End artist Cecil Osborne (1909-96) that once hung in St Pancras Town Hall. There is a silly little item in the current Private Eye. Hard times at the BBC, where it appears even the treasured Antiques Roadshow must make cutbacks. The roster for the forthcoming series has been announced and settings will include the spectacular Crathes Castles (sic) in Aberdeenshire, Buckfast Abbey in Devon, Eltham Palace in Greenwich and, er, Media City in Salford. It's years since I made a point of watching the show, but what made Antiques Roadshow interesting was precisely that ordinary people could turn up with extraordinary and valuable objects. And in its early days at least, the programme often came from pretty mundane locations - Market Harborough Leisure Centre, for instance. In fact it was Roadshow's later obsession with historic houses that put me off it. The inserts in which the presenter fawned over Lord and Lady Muck and their treasures were usually a bore. Behind this item, I fear, lies Private Eye's original sin of snobbery. How, they ask, could people in somewhere like Salford possibly have anything of interest to show us? 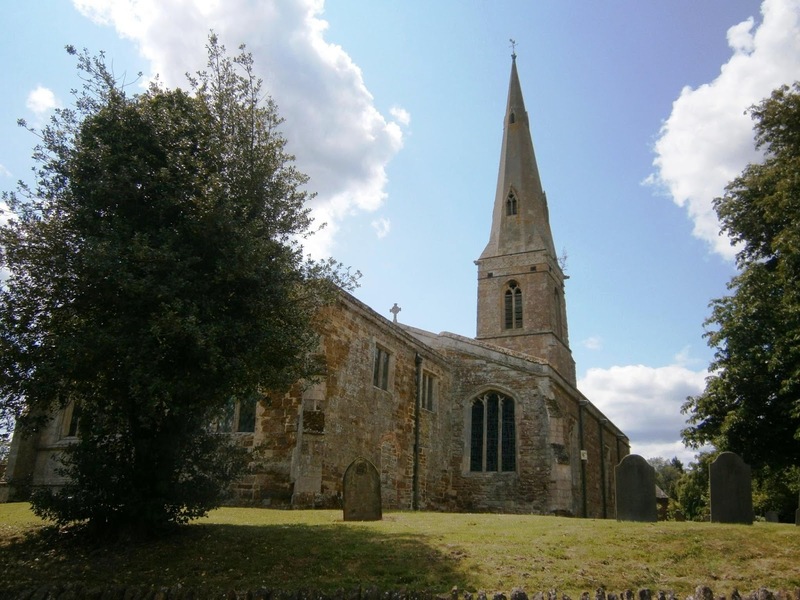 Church spires could be used to boost mobile and broadband coverage in rural areas under an agreement between the UK government and the Church of England. The government has committed to achieving good-quality mobile connectivity across the UK by 2022. While the agreement encourages churches to sign up, they will still have to negotiate the usual planning process. Digital analysts welcomed the development but said "the devil would be in the detail". I have heard of churches being used to boost signals in this way before and I like the idea. They are and should be beacons of energy in the landscape. The danger, I suppose, is that this scheme may bring ancient ley lines to life and cause wolves to run or the darkness to rise. Worse, it may turn out that it is the Devil in the detail. But on the whole I think it's a chance worth taking. This is the title track from an album to be released in April. It sounds very Nineties to me, but then that is when Eels started out. 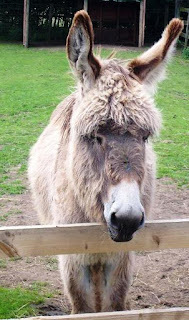 It is no secret that Andrew Bridgen (Conservative MP for Leicestershire North West) and Keith Vaz (Labour MP for Leicester East) do not get on, much as it was no secret that relations were a little strained between the Montagues and Capulets. The latest round in their long bout can be found in a Mail Online article from last week. Andrew Bridgen wants the National Crime Agency to use new powers created to crackdown on crime gangs to investigate the Labour MP. Mr Bridgen claimed in a letter that Mr Vaz owns eight homes in the UK, more property in India and sends his children to fee-paying schools on his MP salary of £74,962. Mr Vaz received an extra £15,025 a year during his time as chairman of the home affairs committee until he resigned in September 2016 amid a rent boy scandal. Mr Bridgen said in the letter this income did not justify the expenditure and called for an 'Unexplained Wealth Order investigation'. Mr Vaz referred MailOnline to Carter Ruck. A spokesman said: "Mr Vaz considers Mr Bridgen's cowardly actions in peddling malicious, highly defamatory and utterly false allegations in this way to be wholly reprehensible, albeit unsurprising given Mr Bridgen's track record. "Mr Vaz will be considering appropriate legal action against Mr Bridgen and also ask the NCA or other relevant authorities to investigate Mr Bridgen for wasting public resources by pressuring them into investigating his vexatious and malicious 'complaints''." The Ludlow & Tenbury Wells Advertiser once described Ludlow Town Council as "beleaguered" and "in meltdown". So far The Press (which was called the Yorkshire Evening Press when I was a student) has avoided such language when talking about City of York Council, but the day cannot be far off. 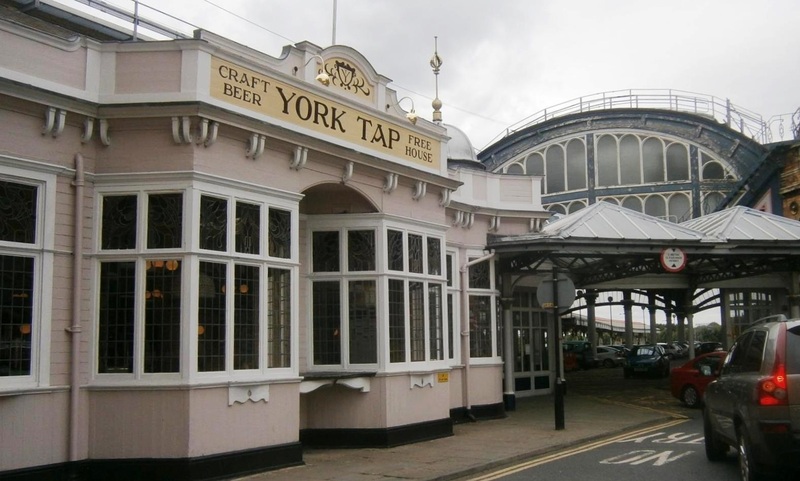 York's Conservative leader says he is "in talks" on renewing the deal to run the city council with the Lib Dems, after councillors failed to agree on a new leader. Cllr Ian Gillies was elected leader of City of York Council's Conservative group earlier this month, but last night could not get enough votes to become the council leader - with the Liberal Democrats and opposition councillors voting down his nomination. With his predecessor Cllr David Carr resigning and accusing his fellow Conseravtives of betrayal, that left with authority with no leader and Lib Dem deputy council leader Cllr Andrew Waller in temporary charge. A second Conservative councillor, Suzie Mercer, also resigned from the party. Since the 2015 elections the council has been run by an uneasy Conservative and Liberal Democrat administration. Relations between the two parties were not helped when David Carr had two Lib Dem councillors suspended from the executive for reasons that remain obscure. Ben Bradley, the Conservative MP for Mansfield, has apologised unreservedly for his tweet claiming Jeremy Corbyn had "sold British secrets to communist spies". He has also pledged never to repeat the claims in any form, agreed to make a substantial donation to charities of the Labour leader’s choosing and meet his legal costs. Corbyn will divide the donation between a homeless charity and a food bank in Mansfield. On 19 February 2018 I made a seriously defamatory statement on my Twitter account, ‘Ben Bradley MP (@bbradleymp)’, about Jeremy Corbyn, alleging he sold British secrets to communist spies. I have since deleted the defamatory tweet. I have agreed to pay an undisclosed substantial sum of money to a charity of his choice, and I will also pay his legal costs. There are serious questions to be asked about the Labour left's attitude to the Soviet Union and its satellites, but (like its attitude to the Provisional IRA) I suspect it is all too long ago to concern most voters. Bradley - despite his expensive education - turns out to be about the least-equipped person to raise those questions. I am reminded of the demise of Katie Hopkins. Otto English takes a look at the record of the 62 Conservative MPs who signed the European Research Group letter to Theresa May. "The frenzied desire to ‘give the Jews a good kicking’ led the room to reject local MP Tulip Siddiq’s alternative offer of a report on her parliamentary activities instead. Apparently, as we seek a full-on return to the Dark Ages, the ritual ‘humiliation of the Jews’ must come before any competing business." Philip Rosenberg on the institutional racism in his local Labour Party. "The idea that black people only inhabit urban areas, and that the English countryside has always been white, is a myth. Yes, many black and brown people who came to the UK settled in our larger cities, but not exclusively – there are a multitude of rural histories which are yet to be heard." Louisa Adjoa Parker uncovers some of them, from slavery to African American WW2 GIs. "During his stint, Orwell enjoyed a spectacular fall out with the editor which saw him nearly quit... and moaned about his rates of pay (although his weekly wages of 8 guineas - the equivalent of £220 today - would be a fortune with today's tight budgets)." Yakub Qureshi discovers George Orwell's three years on the Manchester Evening News. Tim Worthington remembers Chris Morris's Blue Jam. By general acclamation among my Twitter followers, the Daily Mail wins this blog's prestigious Headline of the Day Award. Strictly speaking, the decision was up to the judges. 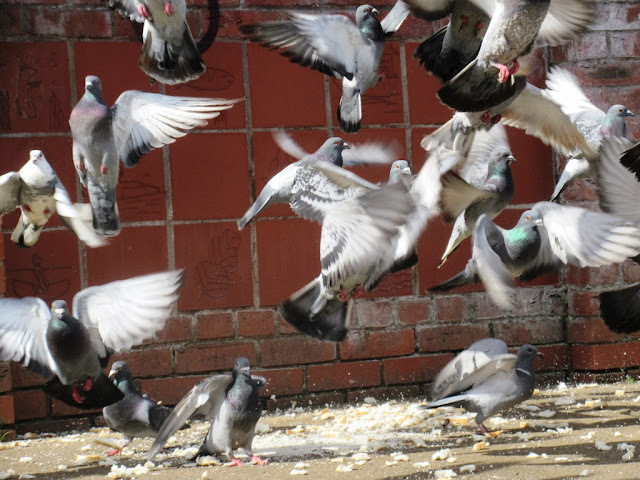 But, hearing the mob baying at the gates, they soon caved in. Jabberwocky in 1977 was Terry Gilliam’s first film as a solo director. Here, 40 years on, Terry Gilliam, Michael Palin and Annette Badland remember making it. 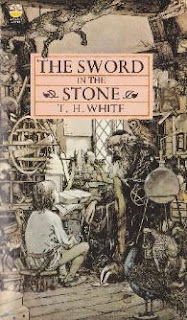 Disney's live-action remake of The Sword in the Stone appears to be happening. A while ago it was reported that Bryan Cogman, a writer on Game of Thrones, was working on the script. Fresnadillo’s hiring points to the direction in which the remake will head. The filmmaker is known for his dark tones. The Sword in the Stone was the last cartoon issued by his studio in Walt Disney's lifetime. I have seen clips from it, which seem pretty good bar the young Arthur's American accent. But I've never sought out a copy to watch all the way through - you can read about it on Reel History. Other reports say the remake will not be released in cinemas but via a new television service Disney is planning as a rival to Netflix. Vince Cable, reports Isabel Hardman, has been to only three out of the six Prime Minister's Questions held this year. He does turn up when he has a question allocated, which is now around once a month. "There’s no point sitting there like a stuffed dummy every single week just to watch a Punch and Judy show when I can be doing more important work for my constituents and on policy. If there is a Prime Minister’s statement, then I always turn up because I get to ask a question." In part this decision is a function of the Liberal Democrats' diminished strength in the Commons, but it is also a comment on the gruesome spectacle PMQs have become. They are pretty much the House of Commons at its worst, but unless you are a political anorak PMQs are all you get to see of it. Once I had photographed the Saxon cross at Rothley I found myself running out of energy. It was the precursor to a nasty bout of man flu I have been down with this week. But I did photograph another building, It looked as though it had at one time been noble, suffered a hard life and was now preserved (with a touch of the mortician's art being used). I was more or less right. The Grange began life as a farmhouse in the 18th century and was enlarged to become a large country house at the end of the 19th. In 1950 it became the headquarters of Barrow Rural District Council - as in Barrow upon Soar. The authority proceeded to surround it with "tasteless modern outbuildings". It was in this condition that it was taken over in 1974 by Charnwood District Council, a new authority centred on Loughborough. They leased space on to other statutory bodies. In 2008 The Grange was bought from the council by William Davis, who converted it into flats and built some more around it. Rothley Parish Council has some pleasing photos of the buildings in a derelict condition awaiting restoration and redevelopment. "The smaller party in a future coalition must be wary of sacrificing too many of its core values for the sake of government unity." Judi Atkins draws some lessons on how to make coalition work from Britain's 2010-15 experience. "We live in an age of increasing polarisation and fraction with bitter conflicts between opposing groups, whether this is in the case of Trump, Brexit, One Nation or other extremist or populist movements. These results remind us that we should be wary of assuming that our followers are thoughtful and caring but their followers are brainwashed and hateful — not least because from their perspective the opposite is likely to be true." A University of Queensland press release quotes the psychologist Nik Steffens on how we see members of ingroups and outgroups. Maya Kosoff on the problems facing Twitter. Londonist looks at the chances of York Road station on the Piccadilly line north of King's Cross being reopened. "The view comes courtesy of Britain’s growing rubbish problem from a boom in commerce through the 60s, 70s and 80s. You’re actually standing on one of the biggest rubbish tips in Britain." Helia Phoenix takes us to a favourite Cardiff viewpoint. 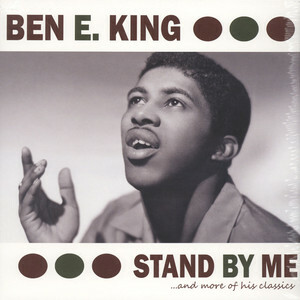 Anthony Teague celebrates 'Stand by Me' and Ben E. King. Ben Bradley, the accident-prone Conservative MP for Mansfield, has been in the news again today. This time it was for tweeting a thumping libel of Jeremy Corbyn and then deleting it in the face of threatened legal action. Those Conservatives who defend Bradley generally do so by accusing his critics of snobbery. But is he really a local, working-class boy made good? Born in 1989 in Ripley, 28 year old Ben initially went to study Sports Science at Bath University, but after deciding the course wasn't for him, trained and worked as a Landscape Gardener. Why no mention of the schools he attended? If you are running as the local candidate there is nothing better than being able to say you attended local schools. Go to the Ben Bradley entry on Wikipedia and the mystery is solved. Ben Bradley attended Derby Grammar School. Despite its name, this school was founded in 1995 and has always been a private, fee-paying establishment. And its current fees are £12,993 a year. No wonder Ben Bradley doesn't mention it on his website. I imagine Bradley's Conservative defenders have assumed that because he has a Nottinghamshire accent he cannot come from a wealthy family. It's sad that people from the affluent South East of England often know so little about the country they live in. The Thames and Severn Canal, which was finally abandoned in 1941, ran for 28 miles from the Stroudwater Navigation in Stroud to the Thames just above Lechlade. 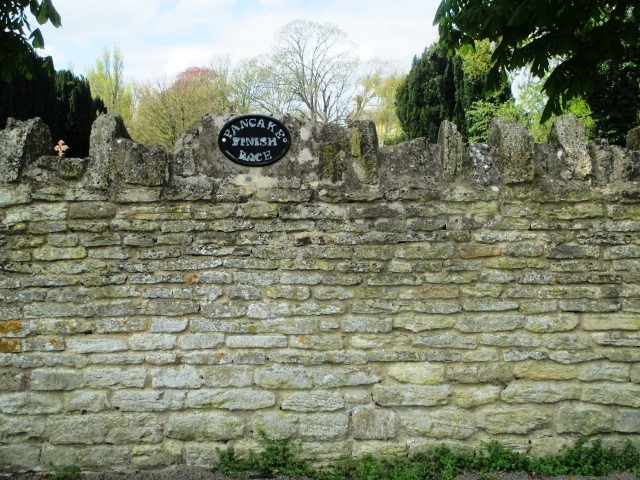 Cotswold Canals Trust aims to restore the Thames & Severn Canal from its junction with the Stroudwater Navigation in Stroud through to the River Thames. With the Stroudwater Navigation, the restored canal would re-create an alternative through route between the rivers Thames and Severn from the Kennet & Avon Canal and one that would avoid the tidal Bristol Avon, which is unsuitable for inexperienced boat owners. Showpiece sections of the canal have been restored, including both ends of Sapperton Tunnel at the summit, to demonstrate the advantages of restoring the whole canal. The film above shows the restoration of Wallbridge Lower Lock in Stroud, the first on the canal. Some of the photographs included demonstrate just how much had to be done to recover the canal there. These days we all make tea in mugs with teabags, when you have to put the milk in last. But for those civilised people who still use a teapot, the answer to the age-old debate is that you should put the milk in first. Milk should be added before the tea, because denaturation (degradation) of milk proteins is liable to occur if milk encounters temperatures above 75°C. If milk is poured into hot tea, individual drops separate from the bulk of the milk and come into contact with the high temperatures of the tea for enough time for significant denaturation to occur. This is much less likely to happen if hot water is added to the milk. Why did this question use to occupy us so much? This is England, so it's no surprise that the answer involves class and snobbery. Putting the milk in last was considered to be the ‘correct’ thing to do in refined social circles, but the reason for this is often forgotten. 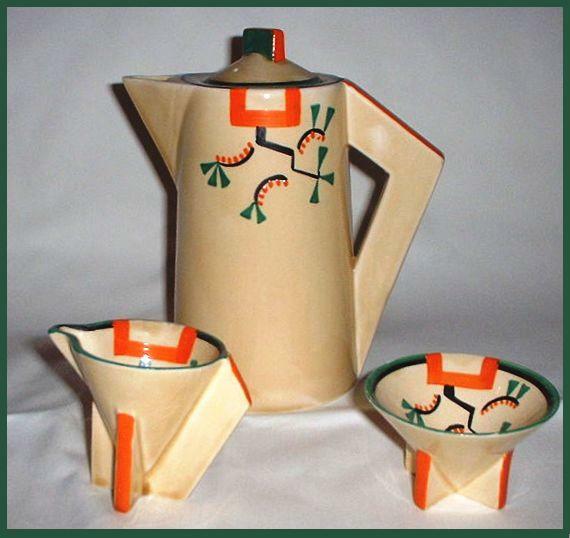 In the early days of tea-drinking, poor-quality cups were inclined to crack when hot tea was poured into them, and putting the milk in first helped to prevent this. When finer and stronger materials came into use, this was no longer necessary – so putting the milk in last became a way of showing that one had the finest china on one’s table. Evelyn Waugh once recorded a friend using the phrase ‘rather milk-in-first’ to refer to a lower-class person, and the habit became a social divider that had little to do with the taste of the tea. Ned Simons from Huffington Post interviewed Vince Cable on Valentine's Day - the Lib Dem leader was planning to meet his wife Rachel at a "nice romantic restaurant down by the river" later. They had a wide ranging and enlightening conversation. Here are a few of the more important things Vince said. Cable says had Theresa May gone for a soft-Brexit, by which he means keeping the UK in the single market and customs union, a lot of pro-EU voters would have gone along with it. “I think a lot of Remainers would have said ‘ok fine, we would rather not leave, but this is something we can cope with and it’s not going to cause a lot of economic harm’,” he says. “The fact they are pursuing a much more extreme and also very uncertain outcome means that these divisions are not going to go away. They are becoming more extreme and acute. People will want to have a fresh look at this when they know what the outcome is. “There are some good things happening,” Cable says of his party’s position. “We have this record level of membership, lots of enthusiastic young people. We are the youngest of the three parties, I’ve discovered, in terms of average age. You go around the country and lots of kind of idealistic young people, full of energy who want to do things and that’s really good. Cable says being a minister was “constantly battling against internal things”. “We worked pretty well together and we got agreement, but it was hard work. It was tough. Very tough,” he says. Going back to Brexit, Vince mentions having heard someone say that there is a kind of non-violent civil war going on. There are certainly parallels with the English Civil War when you look at divides like Court vs Country, but the Brexiteers do not have a Cromwell. Boy do they not have a Cromwell. "All these old records. Why don't you choose something for the young people?" Lord Bonkers asked me the other day. likes to play unreleased sounds in DJ sets, which lately go beyond the average definition of techno and house and also present disco, wave, electro, cosmic, Krautrock and early electronic dance music. I do like the combination of electro and piano that you get later on here, though it takes a while to get there. Rothley has a station on a steam railway, a street once found to be the most expensive in the East Midlands and a hotel that used to belong to the Knights Templar where Mike Gatting lost the England captaincy by entertaining a barmaid in his room. But today I wanted to see the Saxon cross in its churchyard. The cross stands on a small, grassy mound close to the path. Geological experts believe the shaft stones are made from highly quartzose, millstone grit of a kind found in Derbyshire east of the River Derwent between Bamford and Cromford. Closer examination by visitors will reveal the intricate carving on all four faces of the shaft which are divided into four panels on each side. The entry in the Schedule of Ancient Monuments describes the carved decoration as "mainly of interlaced plaitwork and plant scrolls including whorls of foliage with elongated leaves. One panel on the south side is believed to include a carving of a winged beast or dragon with an interlacing tail". The south face is severely eroded which is a great pity as its lack of clarity involves not only a loss of artistic expression but also creates difficulty in giving a close date to the style of carving. There has been no recent evaluation of the monument and some academic doubt remains as to whether the carvings are 9th or 10th Century in origin. An "official" date given by English Heritage is mid 9th Century thereby placing them in the Saxon pre-Viking period of history. What a strange bird Saki is. His stories, written between 1900 and his death at the Somme in 1916, bear the hallmarks of Oscar Wilde and Henry James, are as funny as Wilde, Wodehouse and Waugh, possess plotting exquisite enough to bear significant elaboration but rarely last longer than three pages, and are brought off with a wonderfully light touch, while presenting a disturbingly chilling portrait of humankind. This blog has followed Adil Rashid since he made his debut for Yorkshire - overhyping young English spinners is part of what Liberal England is about. So I was sorry to hear that he has decided to concentrate on white-ball cricket and give the County Championship and even tests a miss. If Rashid is exceptional, it is only because he was an international T20 player who had still been attempting to play Test cricket too. Of the 22 players in the last World Twenty20 final only six have played Tests since. And only three - Root, Ben Stokes and Moeen Ali - have done so since 2016. The shift is being driven by money, of course: the huge financial rewards available in T20, especially for players from beyond the sport’s economic big three of Australia, England and India. With T20 leagues now ubiquitous, there is always a tournament, somewhere, to play in without players needing to be involved in the longer formats. I have remarked before - when writing about Leicestershire's hated sprout police - that Conservative councils are very keen on petty regulations. Often it is Liberal Democrat and Labour councillors who argue for freedom. Take Wandsworth, which always used to be seen as the Thatcherites' flagship borough in London. It has always been seen as one of the most innocent of childhood pursuits, a rite-of-passage physical challenge fondly recalled in adult life. But now killjoy councillors in London are threatening a clampdown on tree climbing in dozens of public parks - with the threat of a £500 fine to back it up. Children in Wandsworth clambering up an oak or a maple without “reasonable excuse” will face the wrath of park police under a new set of rules governing behaviour in its 39 open spaces. Along with tree climbing, such traditional outdoor pursuits as kite flying or a knockabout game of cricket - along with other pursuits considered “annoying” to others - could fall foul of the regulations. I am reminded of the insight of The Age of Insecurity by Larry Elliott and Dan Atkinson: Thatcher set money free but left people more constrained by regulation. Oncw again, I am driven to the conclusion that the problem with British Conservatives is that they are not Conservative enough. 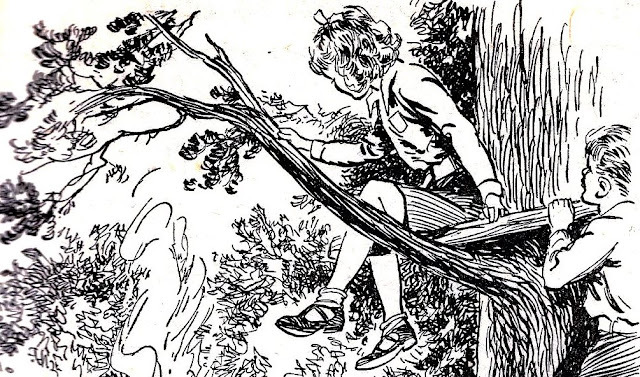 Climbing trees, flying kites and playing cricket is precisely what a British Conservative should want children to be doing. This view of the town's Grade I listed church was taken from Montgomery Castle. A paper for the Local Government Information Unit by Janet Sillett looks at the elusive but important concept of 'a sense of place'. A place that works could be seen as one where the people who live there have a sense of affinity with it, and one where the past, the present and the future are connected: so that its history is part of what makes it special and the people who have lived there for a long time, but where it welcomes new people and communities, and embraces change. People can feel a sense of place about where they live physically, but also to a wider place such as a city or to their local community or even to organisations within it. People have attachments to their home, their neighbourhood and perhaps to their city, town, village and even to their region. As places globally become more like each other, preserving a sense of distinctiveness can be important. The paper is a long read, but I think this is an important subject and worth the time. Of course, the question is how you reconcile the intangible concept of 'a sense of place' with the daily grind of planning decisions. 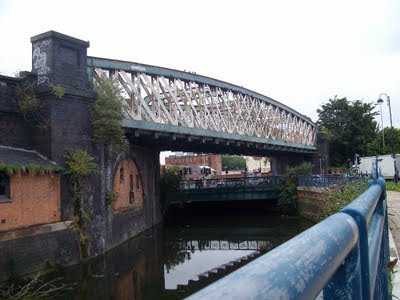 In Leicester I feel the council has shown too little concern for sense of place away from the city centre, allowing structures that help define their area - the Bowstring Bridge in Braunstone Gate; the Empire in Newfoundpool - to be razed without a contest. If everything in the city beyond Richard III is student accommodation and supermarkets, there will be no sense of place at all. This short video from 1965 shows two lost stations. Cheltenham Spa St James and Cheltenham Malvern Road were both closed to passengers and goods the following year. "I will be pushing as hard as I can for reform of our large aid agencies but I will defend what they do and the work of all decent aid workers with everything I’ve got." Peter Kyle talks sense on the Oxfam scandal. Polly MacKenzie calls for an end to despair about British politics and for positive action instead. "Once upon a time, I was a member of the Lib Dem's federal policy committee. I used to irritate Danny Alexander and other luminaries by claiming that Liberals had made no contribution to economic debate since John Maynard Keynes had breathed his last in 1946." David Boyle did - I heard him - but now he thinks things may be changing, if not in Britain. Nicholas Thompson and Fred Vogelstein on the two years that shook Facebook: "the company ... realises now that it bears some of the responsibilities that a publisher does: for the care of its readers, and for the care of the truth." "On the ground, the shockwaves of the mines were felt far more than heard, there was no bang, either on the Somme or in England as was claimed much later; but 8,000 feet above the battlefield the sound waves reached a pilot who had been warned to keep clear of La Boisselle but turned his machine to observe the detonations of Lochnagar and Y Sap." Simon Jones on the battle beneath no man's land in World War I.
Cinephilia & Beyond revisits David Lynch's dark masterpiece Blue Velvet. We have heard the latest about Norman Baker's music career, but what of the day job? Just ten months after joining the Big Lemon, former Lewes MP Norman Baker is off to pursue a range of other interests including journalism, a music album and a top secret new book. Mr Baker joined the Brighton bus company in March last year, and says he has already achieved what he set out to do there. This includes winning new contracts, doubling the size of the team, helping launch the UK’s first solar-powered electric bus and winning Most Sustainable Business at the Sussex Business Awards. What with today being Shrove Tuesday, here is a photo of the finishing post from the pancake race held every year at Olney in Buckinghamshire. A page on the history of the race says it dates back to 1445. 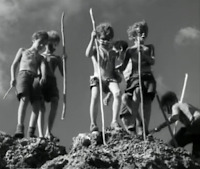 The film below shows the race in 1951 - no doubt still remembered as a classic. There is little evidence of pancake tossing: the women just pin back their ears and charge for the line. But the history page says they must toss their pancake once at the start outside The Bull Inn and once at the finish by the church. Talking Pictures has just shown a film I have long wanted to see: Violent Playground from 1958. This story of juvenile delinquency in 1950s Liverpool was one of a series of topical dramas made by director Basil Dearden and producer Michael Relph from subjects ripped from the headlines. 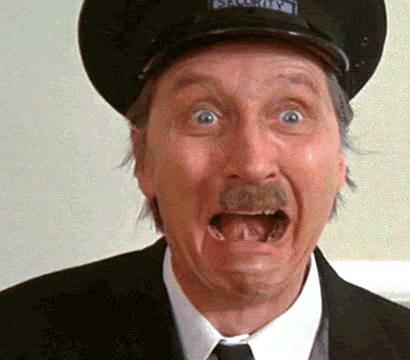 Since the 1940s they had alternated more commercial fare (including comedy vehicles for Peter Sellers and Benny Hill) with these properties that took on socially relevant themes with a (fairly) progressive outlook, shooting on location for a more realistic style. The best thing about Violent Playground is its star David McCallum, who went on to greater fame in The Man from U.N.C.L.E. and other television series. He is charismatic and dangerous. So dangerous that he ends up holding a school class at gunpoint. It was a surprise to see it on screen today and must have been shocking in 1958, even though the makers seem to have lost their nerve as two characters who might have died are both restored to health at the end. The trouble is that the alternative presented to the delinquent lifestyle is so insipid. Athletics club with the headmaster after school just doesn't cut it. Stanley Baker excelled as both criminals and tough cops in films of this era, but here is just made to look dull. Besides McCallum the other great pleasure of the film are the Liverpool locations. It is a city that cannot take a bad photograph. All interior shots in the film were taken at Pinewood studios as were much of the exteriors but there are key Liverpool locations running throughout. As with many Liverpool movies, including Letter to Brezhnev (1985) and Waterfront (1950) the opening titles feature the iconic Mersey and the Liver buildings before the action moves further inland. It is disappointing that so many of the key locations are actually shot in London, including the school despite the name Scotland Road School above the entrance. There are still enough Liverpool locations to spot however; in a sequence where Johnny leaps from a hotel window, the action takes place on School Lane. The window is on the first floor at the back of what is now Primark, facing the Bluecoat and has not changed. You can clearly see down School Lane towards what is now Liverpool One. Gerard Gardens was the not the hatching ground for delinquency the film makes it seem. When it was built in the 1930s it was distinctly superior council accommodation and its residents fought a long rearguard battle before it was demolished in 1987. Other pleasures in the film include John Slater as a police sergeant, foreshadowing his role as Sgt Stone in Z-Cars a few years later. Stratford Johns is also supposed to have a minor role in the film, but I failed to spot him. And among McCallum's gang you will find Melvyn Hayes and a boy called Fred Fowell. After a spell in a minor Merseybeat band he emerged in the 1970s as the comedian Freddie Starr. If you want to see Violent Playground then keep an eye on the Talking Pictures schedules. And - who knows? - you may even find the whole thing on Youtube. A new Wittgenstein aphorism has been found in the margins of a book he used to own, Julian Baggini reported in a tweet yesterday. Ludwig Wittgenstein (1889-1951) was still the strongest influence on British philosophy when I did my degree at York, though his star has waned since then. His later work was rich in aphorisms of this sort. Here he was foreseeing Twitter in this one and counselling us not to spend our time arguing with random strangers with foolish views. I have stopped myself doing it. At most I will look at the replies to a tweet I strongly disagree with and like a few that have expressed my disagreement for me. There are lots of sensible and interesting people on Twitter. Take the advice of Uncle Ludwig and spend your time engaging with them. Southwell Minister in Nottinghamshire is one of England's finest cathedrals and perhaps its least known. The stone carvings in the Chapter House are its glory. 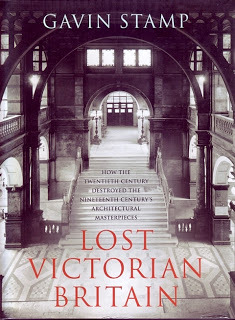 In 1945 they were the subject of a short book by Nikolaus Pevsner with photographs by F.L. Attenborough, the principal of University College, Leicester and father of Sir Dickie and Sir David. The fluid carvings of plants, animals and green men found within the Chapter House - known collectively as ‘The Leaves of Southwell’ - are of quite exceptional quality and regarded as the best example of 13th century naturalistic carving in the United Kingdom. An example of global importance currently at risk. Seventy years since Pevsner wrote his booklet, they deserve fresh appreciation. They need protection from leaking roofs and lack appropriate heating and environmental controls. In addition, with modern lighting (there is none at present) and an imaginative interpretation scheme, the Leaves of Southwell can be made much more accessible and widely known to future generations. It is our belief that they represent not only wonderful heritage but also an extraordinary resource today. We're delighted that the Heritage Lottery Fund has awarded us an initial grant of £352,697 to develop the project in a way that will protect, interpret and better present the medieval carvings. A further grant of £2.2m to implement our plans is contingent on the success of the development phase. Thanks to generous pledges and gifts we are but £180,000 short of target. We all know Norman Baker as the lead singer of the Reform Club. 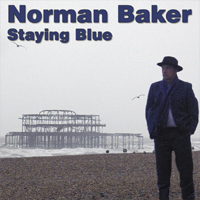 "Staying Blue" is his first solo effort and is an eclectic mix of blues, country, jazz and folk songs. The album’s opening track is “Shipping Forecast” with a wonderful blend of folk/sea shanty. Norman can write a song and sing the heck out of it. This album showcases elite musicianship and really enjoyable songwriting. To be found at the village's canal basin. When I started walking in the Shropshire hills there was only one cashpoint in the area. It was at one of the banks in Church Stretton, so a short holiday had to be planned so it took in a visit to the town. 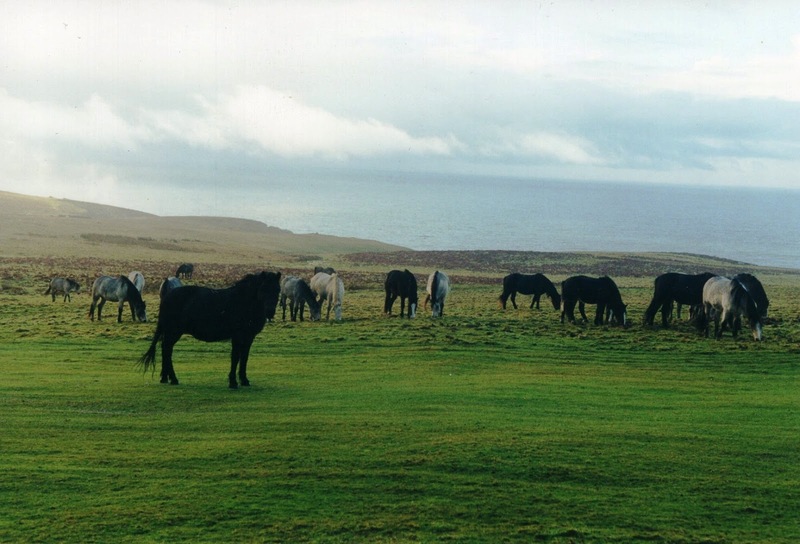 Yes, some pubs in more remote areas would cash cheques, but you could not rely on it. The closing of cashpoints could potentially hit the smaller and more rural areas of Shropshire, with a number of towns already left without banks and only one cash machine available for miles. Megan Prince, who owns Ironbridge Bookshop, said: "It is a bit of a shame, as I know cash is a bit of a thing of the past now, but it is important to have cash available in small tourist towns as there are a lot of small independent businesses and not all of them take card payments or only take them over a certain amount. You can do more without cash than you could 30 years ago, but it sounds as though things are coming full circle. TISM stands for This Is Serious Mum and is pronounced "tis-um". They were an alternative, anonymous Australian band who flourished in the Eighties and Nineties. This song, which was recorded in 1995, satirises our obsession with celebrity deaths and manages to foretell the death of Michael Jackson years in advance. River was River Phoenix. The older brother of Joaquin Phoenix, he killed himself with drugs in 1993. He had been a successful child actor, notably in Stand By Me, and was making his way in adult roles. Despite his squeaky clean image, he had long been struggling with drink and drugs. Several of the roles he had been due to play were given after his death to Leonardo DiCaprio, with results we see around us to this day. Oh, and if you are worried that TISM are not playing any instruments in the video above, here they are playing the same song on traditional Greek instruments. At Foxton near Market Harborough the Leicester line of the Grand Union Canal descends a hillside by means of two flights of five staircase locks. The locks are currently drained for maintenance and this weekend you can visit them and walk in areas that are usually under deep water. You can, for instance, see the paddles that are raised to let water into the locks from the side pounds used at Foxton. I went today and took these photographs in the rain. I also learnt that rather being cut into the hillside, the locks were largely built on the surface and then had earth heaped up against them. It is notable that the brick floor of the chambers probably dates from 1814 when they were opened and that the piece of metalwork at the bottom of one of them is the work of an early 19th-century blacksmith. A hard border would be a disaster for Northern Ireland, argues Naomi Long. 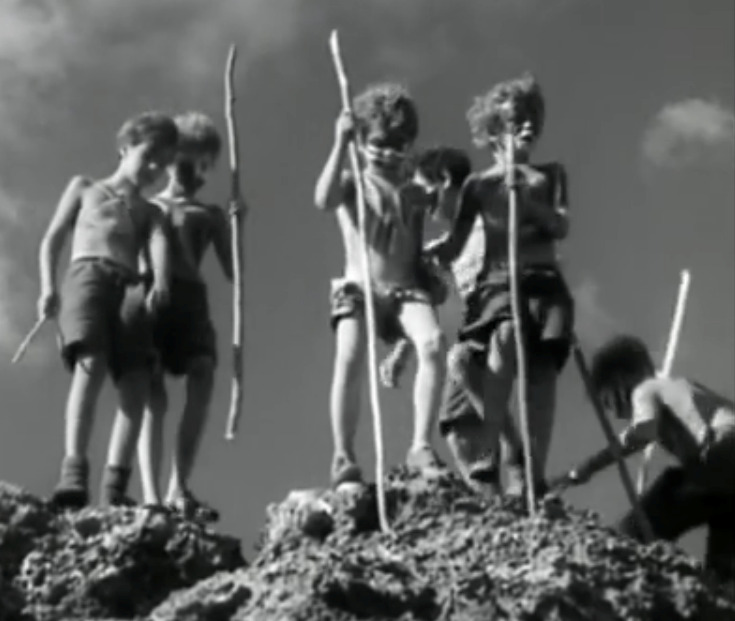 Chris Grey offers a new angle on the Brexit debacle: "The whole situation is beginning to resemble the plot of William Golding’s Lord of the Flies, with Jack being the Brexit Ultras, the mythical Beast being the EU, Ralph being, perhaps, Theresa May, and the Conch being the Referendum result. Remainers play the role of Simon, whilst the British people have to be cast as poor old Piggy. Alas, there seems as yet to be no one to take the part of the adult who arrives to rescue the children and chide them for their un-British, brutal behaviour." The BBC should repeat Shoulder to Shoulder, their 1974 drama series on the struggle for women's suffrage, say Janet McCabe and Vicky Ball. Jonathan Coe on film-makers' obsession with the doomed British sailor Donald Crowhurst. "'There’s a writer in England called … er, Peter Ackroyd,' David Bowie said in a short film he made in 2003, 'who wrote a book called … Hawksmoor I think it was. Wasn’t it? Yeah.'" Anna Aslanyan reads it 33 years on. "This landscape has seen a lot, it has seen multiple religious settlements, a village grow up and gradually recede. A church consecrated and centuries later deconsecrated." William Tregaskes visits Lancaut beside the River Wye near Chepstow. Oliver Stone's film JFK was released at the end of 1991 and gave rise to this overmanned Late Show panel. Christopher Hitchens and Pierre Salinger (who appears to be in the process of turning into Bernard Ingham) are no longer with us, but Anthony Summers and D.M. Thomas still are. But the 1990s (my favourite decade) are a long way away and it is a surprise to find that the latter published a novel as recently as 2014. A couple of thoughts on this clip. The first is that talking heads make great television as long as their owners are interesting enough. The second is that I believe Lee Harvey Oswald was the only gunman in Dealey Plaza that day, but if he was put up to it by anyone it was surely the KGB. He had, after all, gone to live in the Soviet Unon and then come back to the USA. Anyway, the best book I know on Kennedy's assassination (which is probably my first memory) is A Cruel and Shocking Act by Philip Shenon. Summers' discovery that no one had talked to many of the witnesses in 1963 chimes with the theme of that book. Meanwhile, Sarah Dunant is going strong as a historical novelist. I have signed Layla's petition. I hope you will sign it too, whichever party you belong to. Thanks to a nomination from a reader, our Headline of the Day Award goes to the Independent. I've twice been to Lundy Island. I took a day trip from Ilfracombe when I was walking the coastal path in 1988 and spent New Year there in 2002 or thereabouts, when I took this photograph. An attempt to do the same thing a year or two later was defeated by the weather, but that possibility is almost part of the island's charm. One of the great things about Lundy is the night skies. As you are 12 miles out in the Bristol Channel with no street lighting, they are overpowering. Seeing the stars there (and on the Dingle Peninsula in County Kerry) led me to form my theory that there was a correlation between the spread of street lighting and the decline of religion. Liberal Democrats were not the only people to enjoy it this morning when Jo Swinson neatly turned the tables on John Humphrys. His tone of wounder impatience in reply did him no favours. One of the many problems with Today is John Humphrys. Too often his interviewing his based on his prejudices, which became tedious years ago. It is tempting to attribute this to his age, but I suspect he has always been like that. So let's just say that the team of presenters needs to be refreshed and Humphrys is the first candidate to stand down. Here his failure to grasp that undervaluing of women when it comes to pay might be part of a wider problem in how they are treated did him no favours either. Part of the trouble is that Westminster is run as though it were occupied by hundreds of small businesses, with each MP employs a small handful of people. Sarah Olney has spoken about how hard it was to put an office together when she won her by-election and then make them all its staff redundant when she lost at the general election. People who work for MPs at Westminster should be employed by the House authorities. They could make sure they have in place the sort of policies against harassment and bullying that the rest of us have with for years. The death of the architectural historian and journalist Gavin Stamp at the start of last month was widely mourned. Doctrinaire modernists armed with ancient progressive pieties were still just about in the ascendant in those days: to concern oneself, as Gavin did, with what a building actually looked like and what effect its presence might have on its surroundings was reckoned to be the height of frivolity, a sort of apostasy. 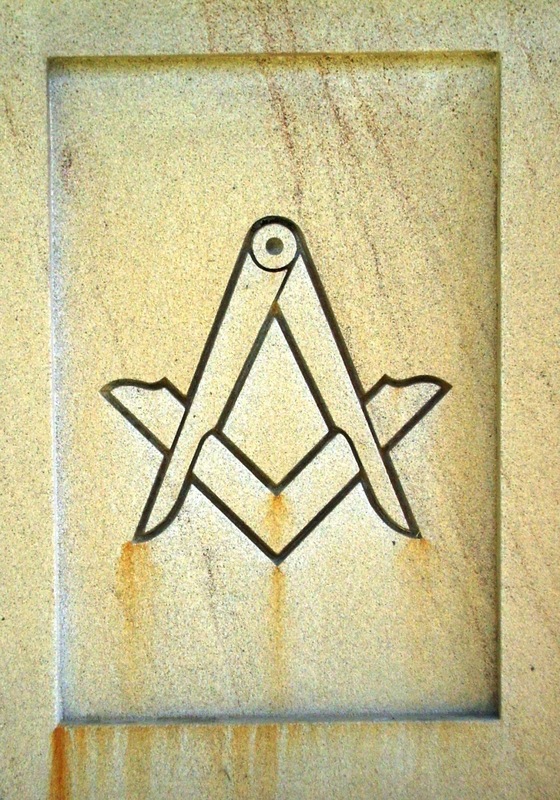 The doctrinaire see what they believe in, the latitudinarian believe in what they see. Gavin looked. He had no programme, no theory, no ideology, little interest in movements or taxonomies. According to Nabokov there is only one school of writing – the school of talent. That is what Gavin increasingly believed about architecture. He found merit in the neglected and the threadbare and the jokey as well as in monuments of high seriousness. It is almost as if Meades were writing a eulogy for himself. Our Headline of the Day Award goes to the Leicester Mercury.